Containing full details and specifications for the whole product range, the catalogue is intended to be a useful reference tool in helping customers determine the right product for their application. The actuators, manufactured by Haydon Kerk Motion Solutions, are ideal for applications that require high performance and exceptional endurance. Reliance offer a full range of NEMA frame sizes from 8 to 34 in a wide range of force outputs, across three design formats – captive, non-captive and external. The motorised linear actuators are driven by a stepper motor which uses a precision nut rotated by the motor. The shaft is replaced by a lead screw which passes through and engages with the nut. Hence the motive force which rotates the nut generates a corresponding linear motion of the lead screw. This approach can greatly simplify the design of linear motion solutions, whilst using a thoroughly understood and economic technology. The use of stepper motors also means high resolution and accuracy can be achieved where precision motion is required, as the individual rotary steps of the motor deliver corresponding linear steps of the lead screw. Reliance’s actuators have the potential to deliver up to 20 million cycles, and rotary motors can provide up to 25,000 hour’s service. The new catalogue features two types of motorised linear actuators: Hybrid and Can-Stack. Hybrid linear actuators are ideal for applications requiring a combination of precise positioning, rapid motion and long life, typically in medical equipment, semi-conductor handling and valve control. These unique hybrid stepper motor linear actuators use a proprietary manufacturing process which incorporates engineering thermoplastics in the rotor drive nut and a stainless steel acme lead screw. This allows the linear actuator to be much quieter, more efficient and more durable than the v-thread and bronze nut configuration commonly used in other linear actuators. Can-stack linear actuators contain a threaded rotor with a lead-screw shaft able to drive linear motion in both directions. The pressed steel body encloses precise internal components, which means this design delivers an economic solution for electrically driven linear motion. 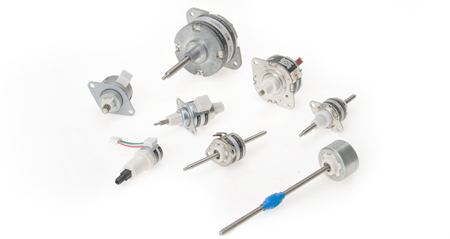 Applications include medical instrumentation, machinery automation, semiconductor, robotics and other automated devices which require precise remote controlled linear movement in a broad range of temperature environments.